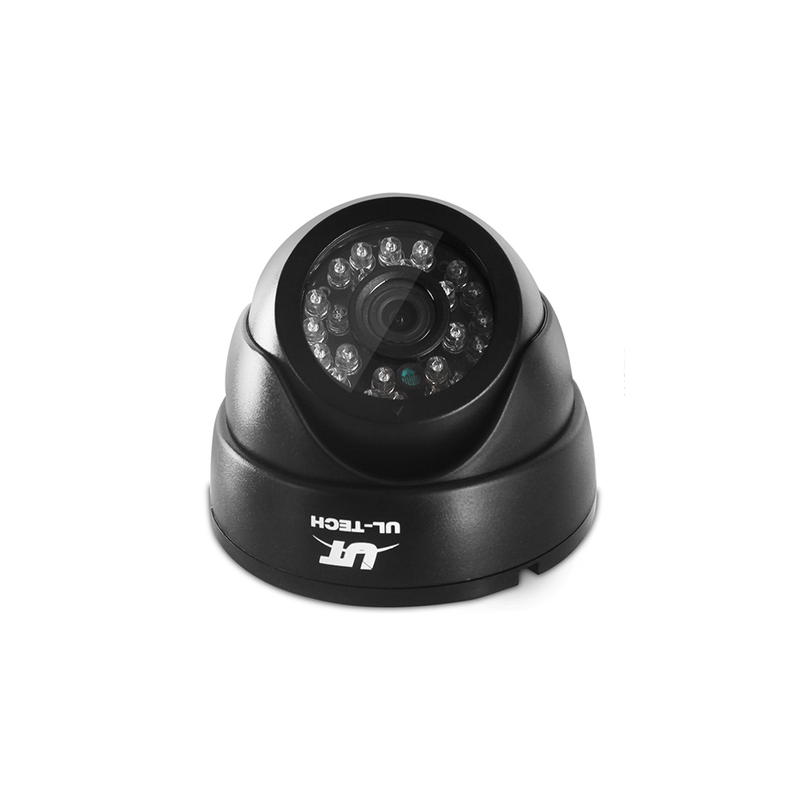 Motion detection of up to 192 areas. Infrared night vision within a 20m radius. Massive 1TB HDD for up to two years of recording. 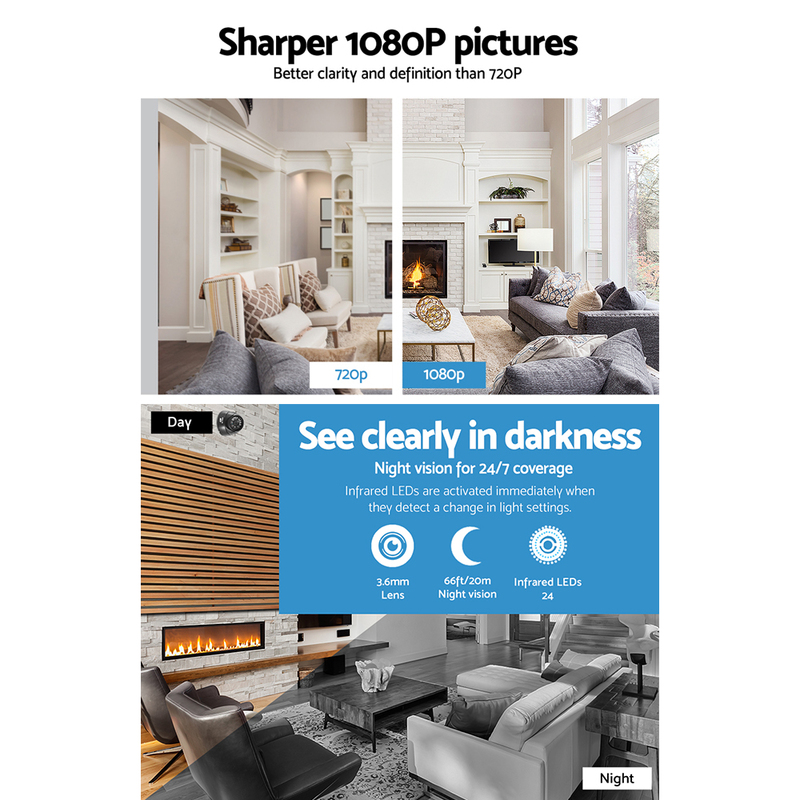 A camera resolution of 1080P HD for live and recorded video that is supremely better than the usual 1080P used in most DIY home security systems. 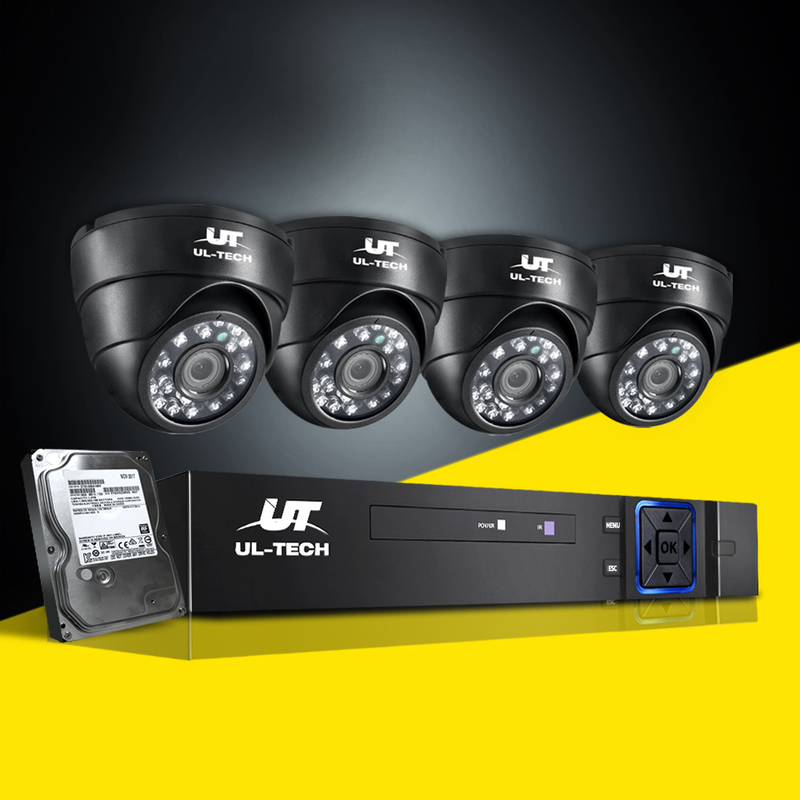 The UL-Tech CCTV 1080P 4-channel CCTV Security Camera is simply one of the best home surveillance systems that you can get in the market today. 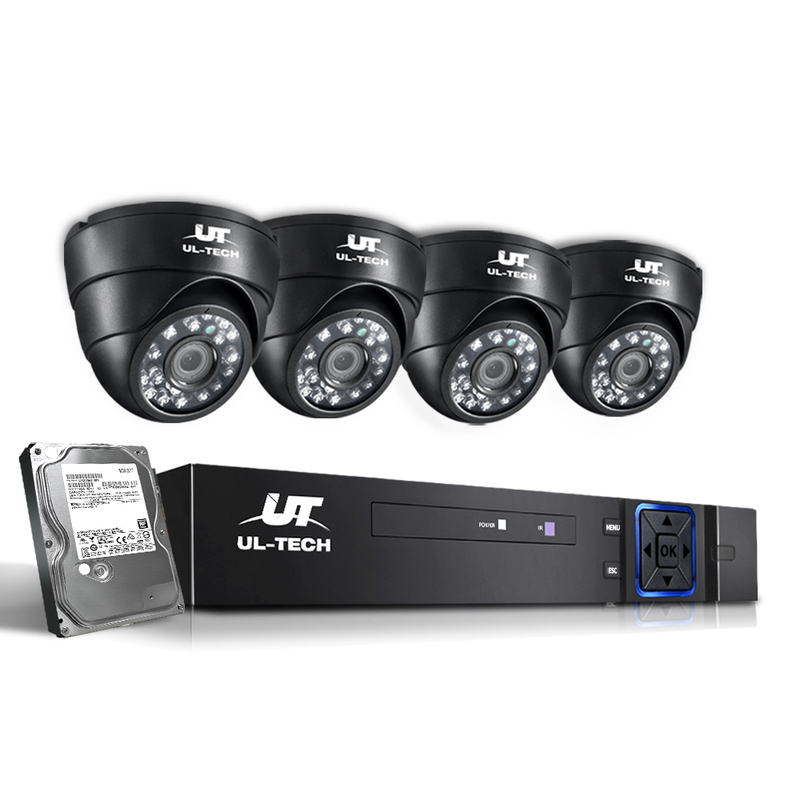 Utilizing the latest security monitoring technology, our weatherproof CCTV system is designed for both indoor and outdoor use and features record, playback and search modes. The high resolution makes it easy to identify facial features, license plates and clothing patterns for total convenience in the event of any home invasion or break-in. 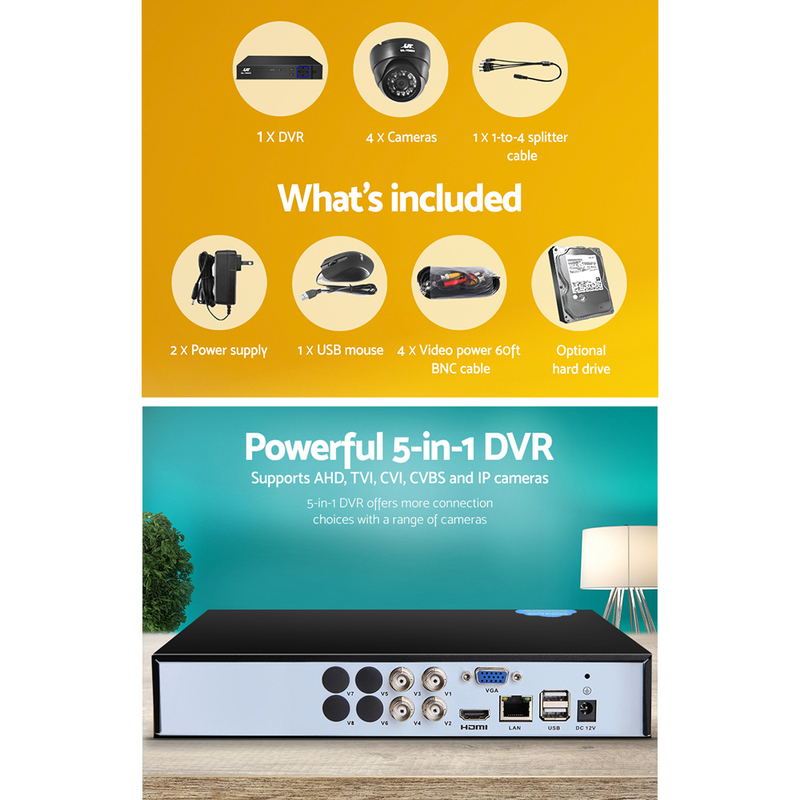 With its huge hard disk storage, the System enables you to review your recordings even from quite a while back. 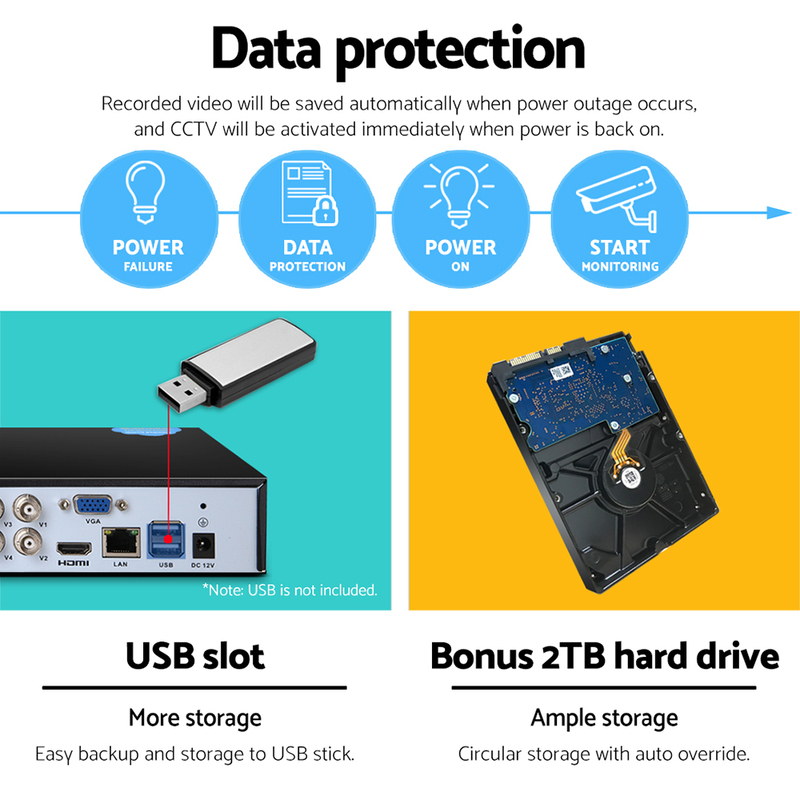 You'll be glad to know too that your data will be also be protected from any power outage. 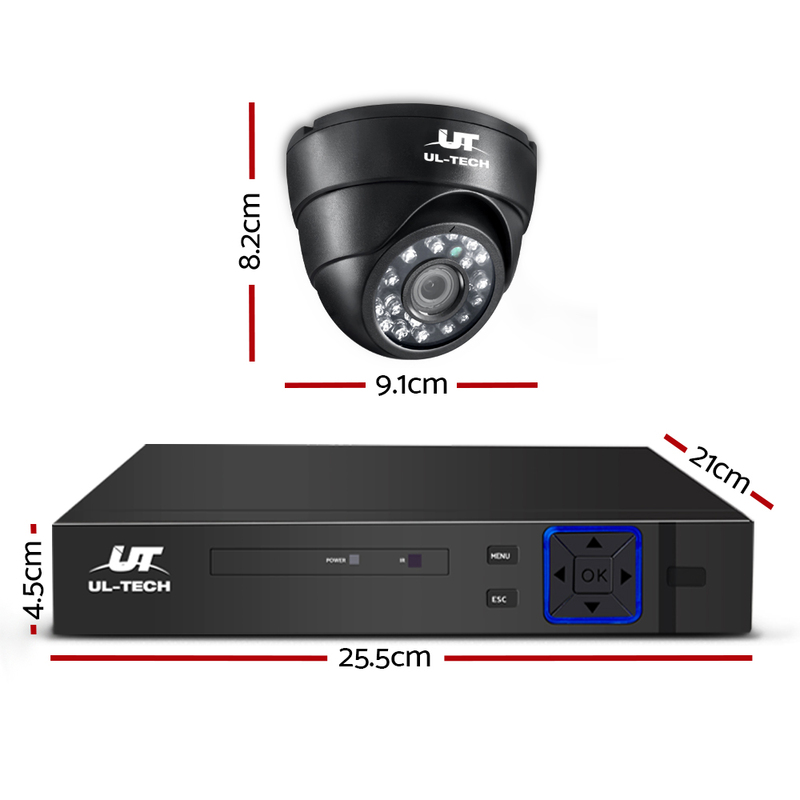 So come your next vacation or anytime that you're not home, it's good to know that the UL-Tech 1080P CCTV Security Camera is your all-seeing eye on your property every single moment of the day and night.